As live chat support becomes more and more popular, the more people expect to see it everywhere they go. Traditional forms of customer support, like the phone and e-mail, are no longer enough to satisfy customers—they want answers, and they want them immediately. Live chat support services may seem like a luxury to you, but in 2017, they’re quickly becoming a necessity for businesses to keep themselves afloat. With the advances in customer service technologies, live chat support isn’t as unattainable as you think it may be; it can actually be profitable in the long run. Not sure if your business can benefit from live chat customer support service? If you identify with any of the following qualities, the answer is probably yes. 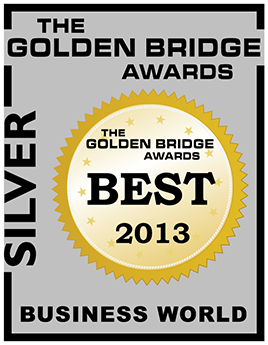 Customer satisfaction plays a vital role in the success of your business. While your products may be the best on the market, you can’t expect your business to thrive if your customer support department is lacking. Consumers expect to receive support as fast as possible and to have their issues resolved in no time. Making it difficult for them to reach your customer support line, or even making them wait longer than they think they should have to, can upset them and result in negative feedback. While introducing live chat support services may seem like a costly venture, it’s actually a very cost-efficient thing to do. The more people that contact your system for customer service and support, the more agents you’ll need to be able to provide adequate support. However, if your business isn’t in the position to hire more customer support staff, a live chat is a great way to compromise. The cost per interaction on live chat is lower than most other methods; not to mention, live chat is faster. When interactions take less time, agents are able to work through the queue at a quicker pace. The demand for customer engagement was one of the top trends for customer service in 2016 and continues to be in 2017 as well. Live chats are a great way to offer targeted assistance to visitors when they need it. Companies that use live chats have the opportunity to make the sales and customer service process way more user-friendly for consumers. A live chat invitation can be triggered when a customer spends too much time on a checkout or product description page, allowing agents to step in at a crucial point in the purchasing process. If a customer decides not to call your support line, chances are they’ll e-mail you. This is a more convenient solution for them, since they won’t be left to wait on hold. They will still have to wait for your response to their e-mail, but this method is much more preferred since it won’t impede their ability to do other things, unlike being rendered helpless while on hold on the phone. Although e-mail might be the preferred method of contact for some, it’s definitely a slower-paced option. A customer’s initial inquiry will likely be followed up with a chain of responses that’ll continue until they’re finally offered a solution. A live chat service would decrease the amount of e-mail conversations your team has to deal with, and speed up the customer service process—this will free up agents to help others at a faster pace, and leave customer even more satisfied. Many customers prefer to communicate over text rather than phone calls. This could be for a number of reasons, including unclear call charges, lack of privacy, fear of being on hold for extended period of time, or maybe they’re simply uncomfortable speaking on the phone. While e-mail is one alternative, that method is usually substantially slower and will take up more of your team’s time, and force the customer to wait even longer to receive a response to their inquiry. If your customer service department can only be reached by phone, you’re leaving a large audience available for your competitors to snap up. Having a live chat service provider ready and available to help customer who would rather not communicate over the phone is the ideal alternative; it has the convenience of e-mail, without the drawn-out response time. 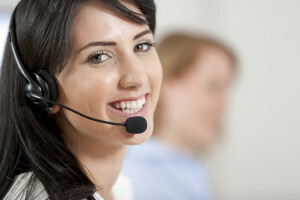 A live chat service can also help you convert more leads into paying customers. Many customers will browse a site for a while before deciding to add something to their cart and make a purchase, so having a live agent offer their assistance after they’ve been on your site for a couple minutes can encourage them to actually go through with their purchase. Your team can answer any qualms they may have, and reassure customers of your policies to help get them to the checkout page. An abandoned shopping cart is a sign of a customer who was confused by the product description on your site, checkout process, your return policy, or looking for a better deal. Having live chat support can easily help you convert these would-have customers into paying customers. 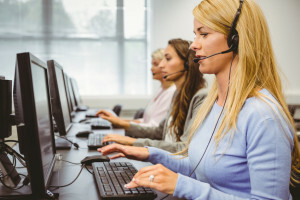 A live chat support service can “strike while the iron is hot” and answer any questions that may be discouraging a customer from going through with their purchase. Live chat agents have an excellent chance of encouraging a sale when they offer their assistance at the right time. Once you’ve realized how beneficial live chat support can be for your company, you’ll need to find the resources to help make it happen. That’s where 3C Contact Services comes in. We have a team of highly trained call services agents who are available to take questions from your customers and provide support through not only live chats but through phone and e-mail as well. 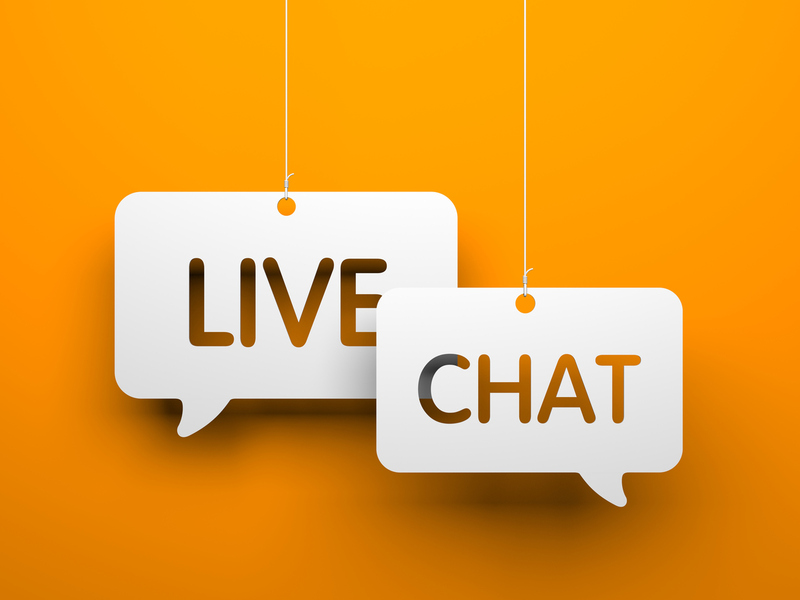 Contact us to get your live chat services set up, and improve your business today!